Microsoft’s latest operating system, Windows 10, was available for download on July 29, 2015. You can enjoy lots of cool features that Windows 10 brings you, like Windows 10 can save a file as a PDF from any application, and you can read a PDF right inside the Microsoft Edge browser. But if you want to make updates to PDF files but the original is not at hand, though Adobe’s Acrobat DC allows users to edit PDF files without the source PDF, they will need to subscribe at least annual commitment of subscription. Is there other ways to edit PDF files on Windows 10? Yes. There is lots of free software that enables you to edit PDF files on Windows 10. However, these free options will come with many limitations, like you cannot delete texts in PDF, the font size is different with the original texts, you cannot change images and other problems. If you want an effective and affordable way to edit PDF on Windows (Windows 10/8.1/8/7 included), you’ve come the right place. 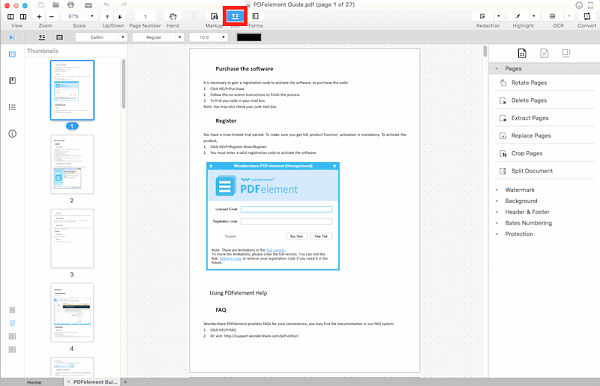 This article introduces an effective and professional PDF Editor for Windows 10, and a step-by-step guide on how to edit PDF text, pages, images, form on Windows 10/8.1/8/7 PC. 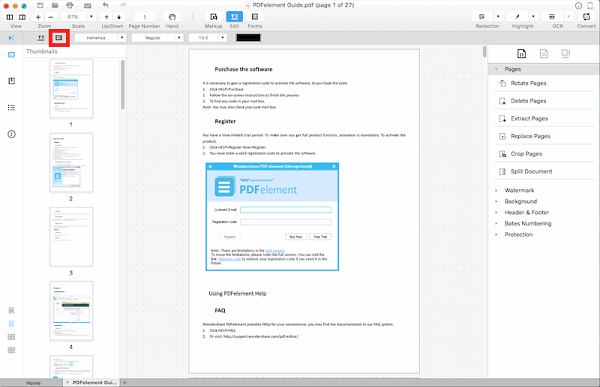 Wondershare PDFelement is an all-in-one Windows 10 PDF editor that will allow you to create, edit, stamp and annotate on your PDF document. 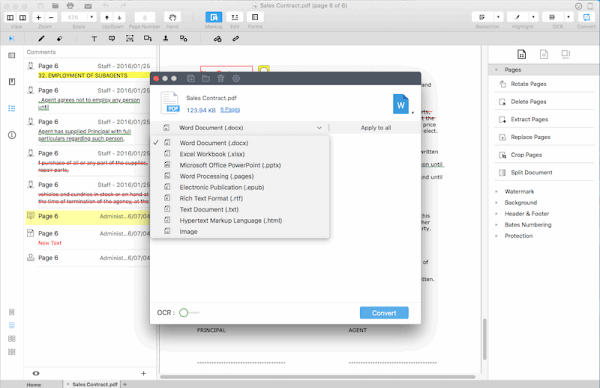 Its range of embedded tools will allow you to work with your PDF files differently. Its best feature would be its OCR capabilities which would let you convert scanned documents and images to be converted to searchable PDF files. 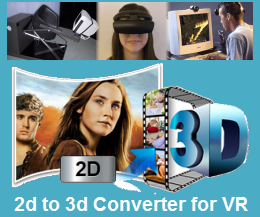 Additionally, you can convert PDF files into other output formats such as Word, Excel, PowerPoint, EPUB, HTML, RTF as well as an array of image files such as JPG, JPEG, PNG and TIFF. The PDFelement for Windows is fully compatible with Windows 10, Windows 8.1, Windows 8, Windows 7, Windows Vista, Windows XP, etc. Batch process to convert, data extraction, bates number and watermark. Open your PDF file with the PDF Writer for Windows 10; Click on the “Edit” tab in the top toolbar to enter into the editing mode. Open your PDF file with Wondershare PDFelement for Windows 10; Click on the “Edit” tab on the top toolbar and you will see many options in the next toolbar. Open your PDF file with the PDF Editor for Windows 10; Click “Convert” on the toolbar; Customize page range for conversion, output folder in the pop-up window and click “Convert” button; Your PDF file will be converted to Word document in seconds. Then you can edit PDF files in Word in Windows 10. How to Import Sony Cyber-shot DSC-HX80 XAVC S to FCE for Editing? How to Import Sony HDR-AS100 XAVC S Files to Premiere Elements for Editing?